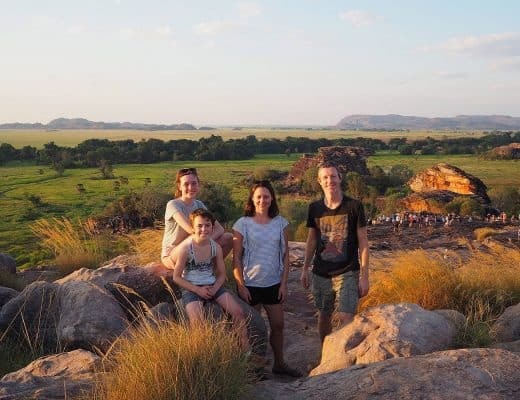 Our family has five travel goals. 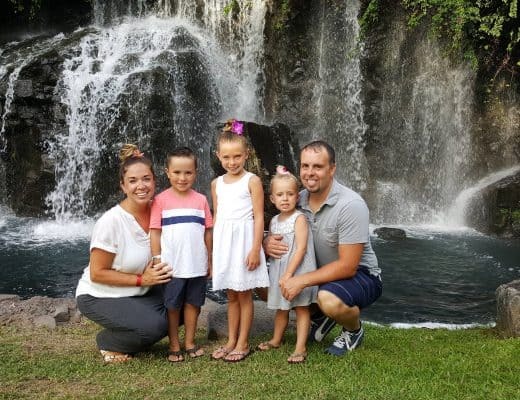 In a prior post I talk in depth about one of those five goals, including about why we chose Midwest travel (in our own “backyard”) as a family travel goal. 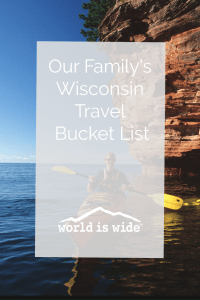 This post is part of a series of posts on our family’s bucket list destinations for each state in the Midwest. This post is focused things we would like to see and do in one of the closest states to us here in Minnesota: Wisconsin. Considering how close we live to Wisconsin, it’s a shame we haven’t spent more time exploring there as a family. Most of what we’ve seen is either right over the Minnesota border or along I-94 and I-90, as we used to drive through Wisconsin often to get to Indiana. 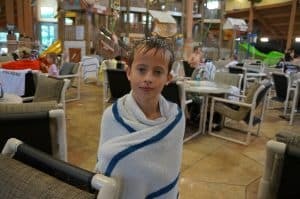 If you are a family in the upper Midwest, there is a decent chance you have made a pilgrimage to the Wisconsin Dells area. Our family is no exception. We spent a long weekend there when our kids were younger, and we had a great time! While we spent a lot of time in our resort, we did venture out to the downtown area. It was too cold to experience the Original Wisconsin Ducks boat tours, unfortunately. But overall, there’s a lot of work for us to do to get a good taste of the Badger State. Lake Geneva Canopy Tour. Photo Credit: Travel Wisconsin. 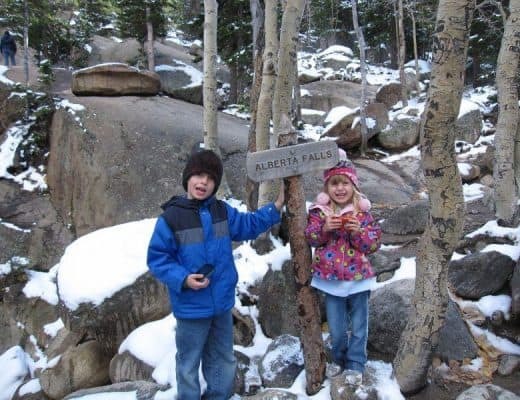 National Park Areas: Our family loves seeing national parks and scenic vistas. While Wisconsin doesn’t have any national parks, it does have a National Lakeshore (Apostle Islands) along the south shore of Lake Superior, two National Trails (Ice Age and North Country) and the St. Croix Scenic Riverway. 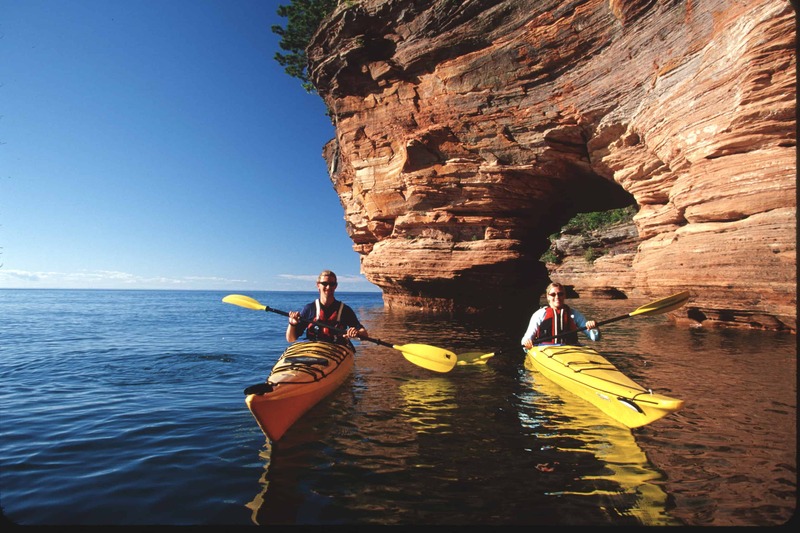 I would love for us to get to the Apostle Islands as a family, as it’s a gorgeous area along Lake Superior’s south shore. Mississippi River Bluffs: Another naturally beautiful area of Wisconsin is along the Mississippi River. 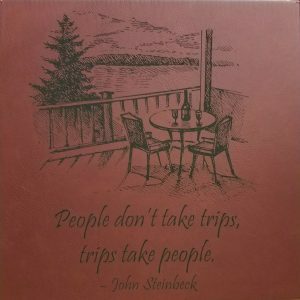 While my husband and I explored some of the charming small towns on the Wisconsin side of the Mississippi many years ago, we would love to do more of that with our kids. Lake Michigan: In addition, Wisconsin is also lucky enough to border Lake Michigan! What an embarrassment of riches. I have spent a little time in Oconomowoc for work many years ago, and our family recently saw Lake Michigan from Chicago. I would love to see Lake Michigan as a family from the Wisconsin side. Door County: A final beautiful place I have heard so much about and really want to see is Door County. So much shoreline, charm, and natural beauty! One activity I’ve come across that sounds really fun is Door County Kayak Tours. My husband and I haven’t kayaked before, but our kids and my husband’s family all love it. It would be a great way to see the Door County shoreline from the water! Oshkosh Air Show: Over the years I have heard so much about the Oshkosh Air Show. Billed as “The World’s Greatest Aviation Celebration,” the air show, which is held in July, hosts fascinating and thrilling airplane feats. I think it would be fascinating to watch. House on the Rock: Another quirky attraction I’m interested in seeing with my family is House on the Rock. I remember going there as a kid and being fascinated by the variety of collections found in this eccentric home. I’d love to see my kids’ reactions to it. I think the nearby Frank Lloyd Wright Visitor Center, also located in Spring Green, would also be fascinating. Madison: The capital of Wisconsin is a lively city, full of character and Badger pride. 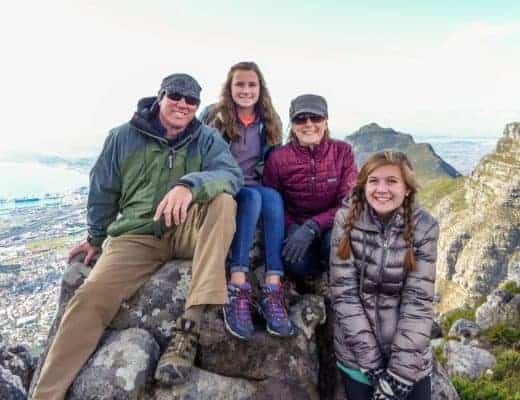 I spent a little time in Madison for work in the past, and I think our family would enjoy wandering State Street and spending time on their lovely lakes, Mendota and Monona. Our family has a travel goal of experiencing as many zip lines as possible. Most (but not all) of Wisconsin’s zip line opportunities seem to be centered on the Wisconsin Dells and Door County areas, which probably means they have fantastic scenery. 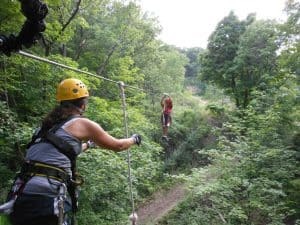 Travel Wisconsin and Trip Advisor each have a great summary of Wisconsin zip line opportunities. Here are a few that caught my eye. Northwoods Zip Line Adventure Tour, Minoqua: Set in beautiful northern Wisconsin, this adventure area has so much more to do than just zip lines. They also have a ropes course, kayaking, ATV tours, a kids ropes course (good for families with smaller kids), and cabin rentals. 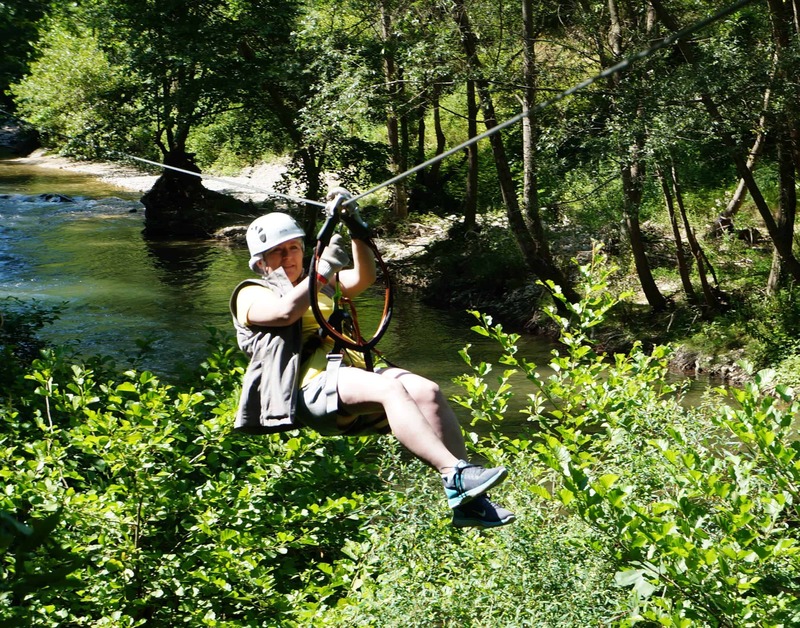 Lake Geneva Canopy Tours: As pictured above, this zipline looks like it has a lot of fun features. It’s located east of Janesville in southeastern Wisconsin. As part of my research, I reached out to some Wisconsin-loving travel bloggers to get their ideas of more off-beat or lesser-known Wisconsin attractions. Here’s what they said. The Al Ringling Mansion offers a wonderful history of Al Ringling, the oldest of the Ringling Brothers. He lived in this home with his wife and sister. He home is open for tours, and you can learn more about it at http://alringlingmansion.com/about-the-mansion. The Greater Wausau Area in Central Wisconsin offers everything from breathtaking natural outlooks to quirky landmarks to a beautiful downtown. Some of its most notable attractions include Rib Mountain State Park and the adjacent Granite Peak Ski Area, the Leigh Yawkey Woodson Art Museum, and the world’s only accessible 45×90 Geographical Marker in nearby Poniatowski! This post doesn’t scratch the surface of all there is to see and do in beautiful Wisconsin. I guess we better get busy! Thanks for sharing all these ideas! Thanks, Kovas! And thank you for your contributions. You’re on the ball…I have only put this out there on Google+ and Pinterest so far. 🙂 I am putting it on my FB, Twitter, and IG tomorrow. This is a fabulous list!! I have to tell you, I spent my childhood spending summer vacations in the Minoqua area and it is perfect for families!!!! Great list! We love traveling to Wisconsin. There are so many fun things to see if Door County. Our family loves lighthouse hunting, always must go to a fish boil, and enjoys some beach time. I would add going to Circus World in Baraboo too! There is a lot to see there and they have different types of shows all day long. I’m excited to get to Door County! 🙂 I believe I may have gone to Circus World as a kid. 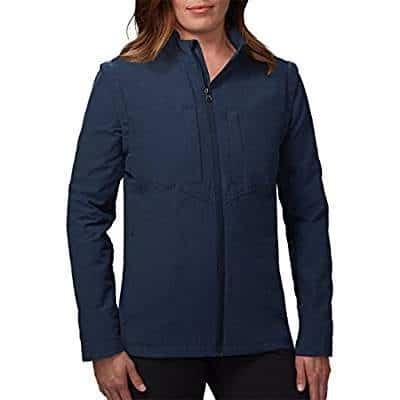 Another great option! A wonderful list! I can’t wait for my little gal to get a little older so we can do the more adventurous stuff! House on the Rock is SOOOO fun! Cave of the Mounds is pretty close by, and worth doing since you’ll be in the area! I’d definitely also suggest Racine for viewing Lake Michigan! North Beach in Racine has been voted one of the best beaches in Wisconsin and the best for families! You can also visit Windpoint Lighthouse in Racine, and there’s a smaller beach there, too, so you can view the lake from a couple areas! Thanks Miranda, these are great additions! Thanks! Enjoy your time there. It’s a great state! 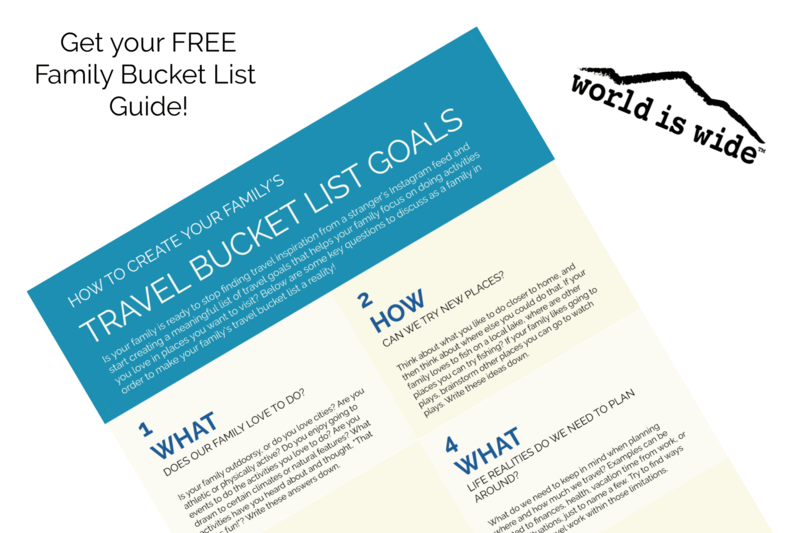 What a great bucket list! Door County is fantastic and House on the Rock is definitely a must see at least once! I want to get to the Apostle Islands soon!! The Apostle Islands are just beautiful. It’s hard to impress a teen boy, but my son LOVED it there.